The hair color I use is an ultimate product from Italy called Framesi. With it, I can deliver the most beautiful Reds and Auburns with minimal fade that never becomes brassy. Brunettes will be shocked at the richness of their browns and just add some accent warmth to the formula and we’ve got a luminant brunette. Same for the Blonds. All your colors are mixed independently (i.e. no premixed colors) which allows me to fine tune a formula in the smallest increments for the best result. Your hair is my only concern. I will work with you to create the look you want or if you don’t know what you want, leave it up to me please. 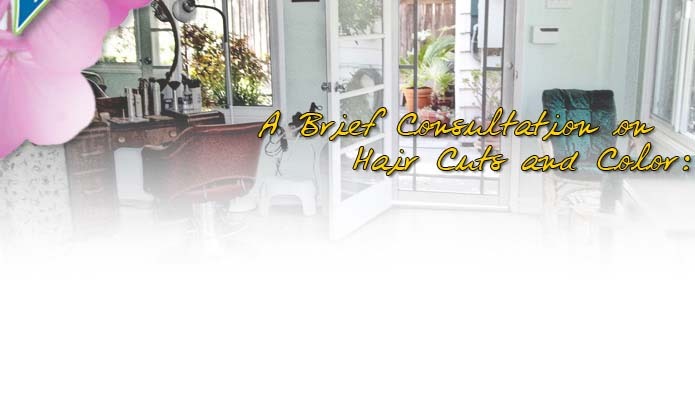 With my considerable experience and training, I will provide you with a style that is easy maintenance and is wonderful on you.